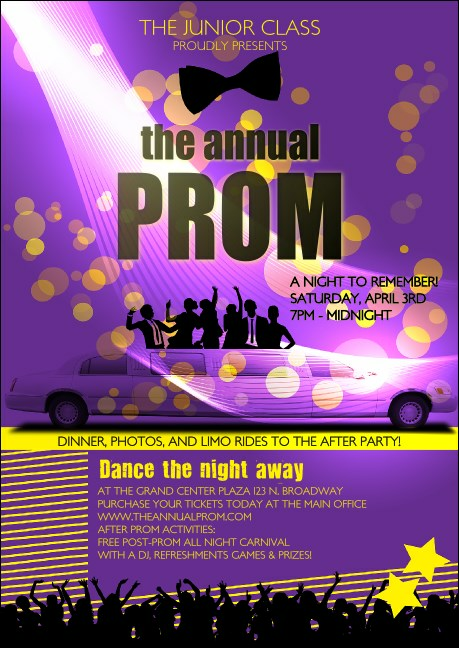 Make your organization’s event planning efforts easier with this Prom Limo Club Flyer! The fun template features images of a bow tie, limousine and lots of excited party-goers to help get everyone interested in your soiree. Use 15 editable lines for all your details. Add some fun and minimize the chaos of planning an event with the right flyer from TicketPrinting.com!